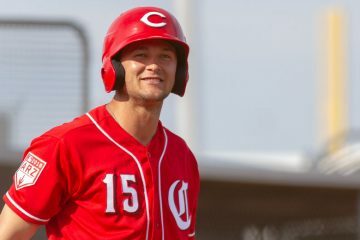 The bad news hit the Cincinnati Reds landscape on Tuesday night when it was announced that top prospect Nick Senzel had injured his ankle in a minor league game earlier in the day. He had X-rays that night and they came back negative. The next day he an MRI and it was announced that he would be in a walking boot for 7-14 days. He’s doing a lot better early on than we thought. So I think it’s going to be sooner for him to be able to get to Louisville, play a little center field, get seasoned, get some at-bats. He’s not going to be long at all. Unfortunate for him. Unfortunate for the Reds. But he’ll to be up here very soon. Good news coming from the mouth of the Cincinnati Reds medical staff about the teams top prospect. While the timetable is still sort of “up in the air”, whatever it was at the time it happened, it seems to be moving up. That’s always better than the other side of the coin with the dreaded “setback” that sometimes will happen. An unfortunate part of the game of baseball is that players lose their jobs. And for a handful of players each year that happens during spring training. Perhaps the biggest surprise on this list was Seth Varner. 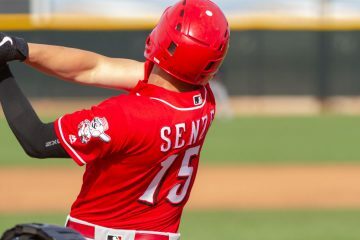 He was the pitcher that I pegged for the RedsMinorLeagues.com Starting Pitcher of the Year for the 2018 season. The left-handed pitcher isn’t a big time prospect. His fastball touches the upper 80’s as a starting pitcher. He’s not going to be confused with Aroldis Chapman by any stretch of the imagination. But last season, with all of his starts but one taking place in Double-A, he posted a 3.30 ERA in 125.1 innings with 31 walks and 102 strikeouts. He’s performed and he’s performed well. For some of the guys above, this will be the end of their career. Josh Rich, for example, has decided to retire. Some of the others may catch on with other teams – affiliated or otherwise – and continue to chase down their dream. Stuart turner, from MLB to out of baseball in 2 years. So the question to ponder is, did that rule 5 year when he was on the mlb roster for an entire year, when he wasn’t mlb ready cause his early demise? Are the Reds to blame for rushing a kid and ruining his career? Interested to hear from the “Luis Castillo should start in AAA” people. I would love to hear from them too. Super outing. 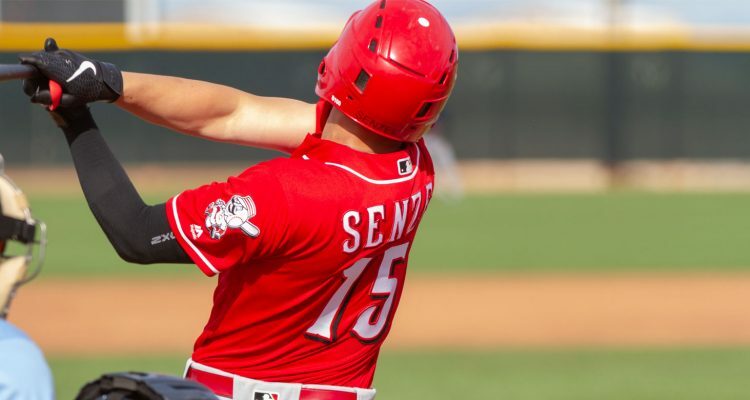 I would also love to hear from those who felt Senzel should have made the team. If Senzel makes the team either Dietrich or Iglesias doesn’t and I am pretty sure it is Dietrich that doesn’t. 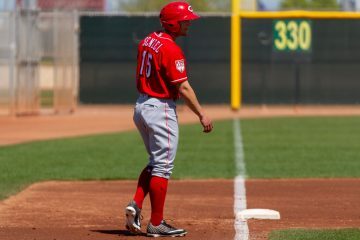 Probably not correct, Kyle Farmer is taking the Senzel spot, not Iglesias or Dietrich. I don’t think anyone said that. Especially as the wood scenario progressed it didn’t matter who was better between the two in spring training. I was game for open competition based on last season and spring training. Also never said mahle should get the nod over him but let them compete. I also thought at the end Castillo pitched well enough to start but was shell shocked when they gave him the opening day nod. All that being said he surely didn’t have the 2018 we all hoped for and his performance today was a pleasant suprise. You won’t, or you’ll only hear backtracking and hedging. That is, until he has his first poor start, maybe some will peak their heads back out then. Sort of like the Votto’s washed up crowd starts to disappear around mid-May/June each year. John Sansone and Mason Williams can be added to the list as well according to Louisville’s transaction page from 3/21. I like Mason Williams, but he’s just going to be squeezed by the OF talent in the upper minors and on the Reds’ roster. Was more surprised to see Bass let go, but figuring he must have had an opt out clause, otherwise he would have been nice depth in Louisville. Hopefully Nick is playing in games by May 1st. Any earlier would by great too. The Reds will be much better off with him in CF over Schebler IMO. Castillo looked great. I believe 7 of his 8 K were swinging strikeouts. I’m surprised they let him throw 91 pitches on his first start. Thank goodness Reds management knew better than to send him down to Louisville. Also, as for Duke, big pickup for Reds. First lefty used by Bell. He belongs on this team. Where are his detractors tonight? Finally, it’s going to be almost impossible to keep Dietrich out of this lineup. Kremcheck is a mediocre surgeon but he is a world class schill for the Reds management. What on earth is he commenting on “seasons” by which he means service time? Also is that a verbatim quote as it is very poor English grammar. But yeah, typo on my part. Said “get seasoned” not “get seasons”. He said seasoned….as in getting playing time at his new position. He’s the team doctor, not the assistant GM. How could a player think that guy is looking out for him? Ever hear of doctor-patient relationship or what about HIPPA? Call me crazy, but I believe that Connor Joe will actually have a decent MLB career. What’s up with Mesoraco retiring? Different teams. 2017 Reds were aweful, 2018 Reds hopefully arent. Connor Joe, in all likelihood, wouldve made it on any of the rebuilding squads. Mesoraco retiring sounds like a crappy situation. He signed a minor league deal, and his agent apparently didn’t work out an opt-out clause. He had been given the impression by Mets management that there was a path for him to make the team. That path opened up, and they still didn’t roster him. They opted to be strict adherents to the contract and sent him to the minors instead of releasing him as a veteran courtesy. He refused to go, so they placed him on the restricted list. Since he belongs to the Mets, and refuses to play in the minors, he’s looking at retirement instead. Also, at my former job 1,000s lost there job last Friday. So, it does not just happen in baseball. Losing jobs is part life, we just have to move on.